The above info came from Terra Hearts, and was edited by yours truly (contact me). 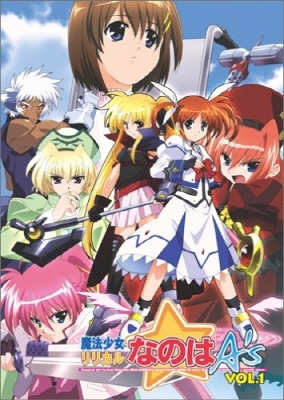 As a sequel of Magical girl Nanoha, Nanoha has been sending text, emails, and gifts to Fate ever since she left to the Time-Space Administration Bureau. However, on the night Fate returns, she and her friends are ambushed by a Belkan Knight; a red haired ginger named Vita, along with Signum, Zafira, and Shamal who's sole purpose is to fill up the pages of the Book of Darkness to protect their master. It is up to Nanoha, Fate and their friends to discover, defeat (yet at the same time, help) the Book of Darkness, the Belkan Knights and their unknown master. The above description came from Terra Hearts, and was edited by yours truly (contact me).